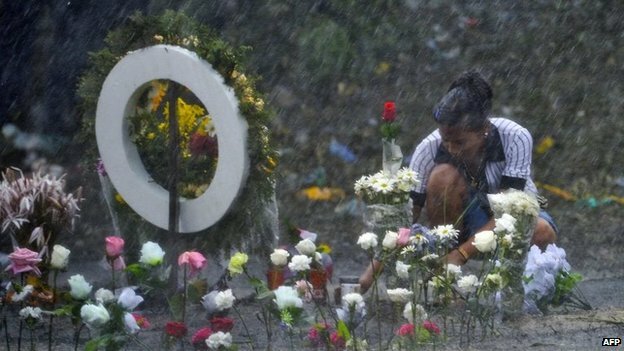 Relatives of 33 children who burned to death when a bus caught fire in northern Colombia on Sunday have been taking part in mourning ceremonies. The number of dead rose after a seven-year-old boy died on Monday. They were returning from an event at an evangelical Christian church near the city of Fundacion, about 750km (465 miles) north of the capital, Bogota. Prosecutors said they would charge the driver and the church leader who chartered the bus with manslaughter. They said the driver, 56-year-old Jaime Gutierrez, did not have a driving licence. Moreover, the bus had not passed the necessary technical inspection and lacked mandatory insurance, officials said. Prosecutors alleged church leader Manuel Salvador Ibarra was aware of these facts, and would therefore also be charged with manslaughter on 33 counts. The driver, who had fled the scene of the accident, handed himself in to police after local people threw rocks at his home. Police arrested Mr Ibarra shortly afterwards. An 11-year-old survivor said the fire started when the driver got out of the bus to refuel it from a jerry can. Prosecutors said a spark ignited the fuel. Eyewitnesses reported that the fire spread within seconds. 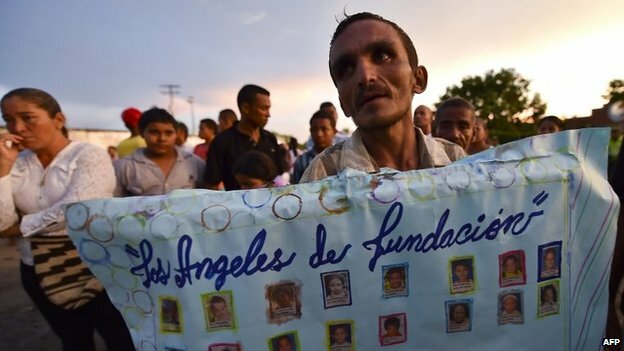 "We couldn't do anything but hold our heads and watch the children burn, Jose Guette told AFP news agency. Forensic experts continue their efforts to identify the victims, many of whom were burned beyond recognition. The victims ranged in age from toddlers to 12 years. Two of the driver's children are reportedly among those killed. 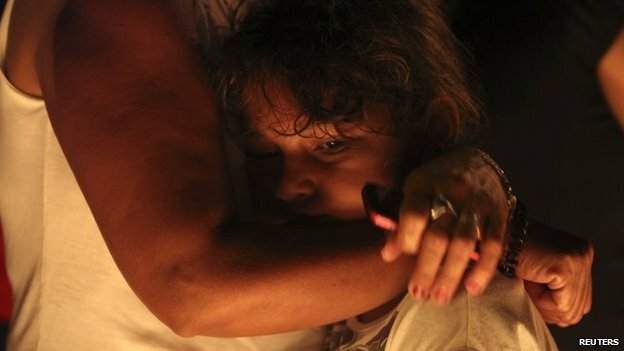 Colombian President Juan Manuel Santos travelled to Fundacion on Sunday evening to speak to the victims' relatives. Mr Santos, who is running for re-election in presidential polls on Sunday, promised to improve the safety of Colombia's public transport. "This is a tragedy which shouldn't have happened," he told the grieving families. Leftist presidential candidate Clara Rojas said the accident showed the "backwardness" of the country. "It's not just the irresponsibility of the driver, but the lack of rigour and presence of the authorities," she said that allowed the accident to happen.